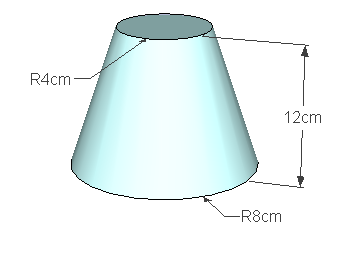 SketchUp can tell you the length of selected edges, or area of selected faces. (This is one of the three topics covered in our December Projects of the Month). 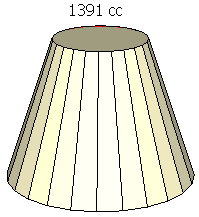 But I'm often asked if SketchUp will also calculate volume. The answer is no within SketchUp itself, but there is a plug-in that does it. It's called "Volume Calculator" (how did they come up with that name? ), and one place to find it is here. As with any plug-in, once you save the RB file, place it in your "Plugins" folder within your SketchUp installation, and restart SketchUp. 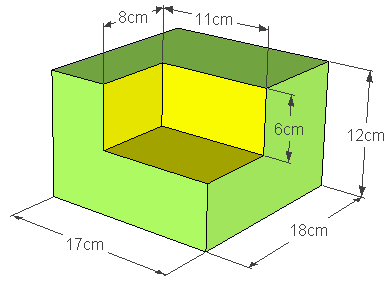 (12 x 18 x 17) - (8 x 11 x 6) = 3,144 cc. 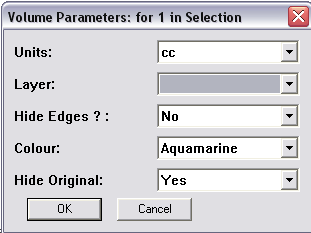 To get the volume, you need to first make the object into a group or component. Then right-click on the group / component and choose Volume. In the window that appears, select your units (cc in my case), whether to hide edge in the new object that will be generated, the color of this new object, and whether to hide the original. Then click OK. 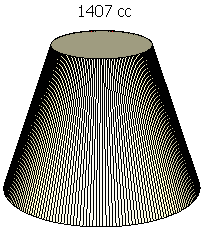 If the circles were "true" circles, the volume would be 1407.43 cc. 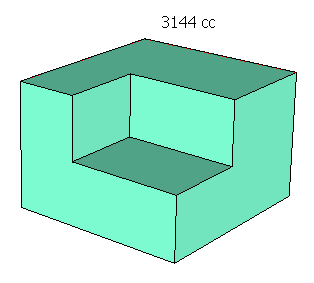 But the circles have 24 segments, so the calculated volume shown below is a little off. Also, the new object is created showing its segmentation. I tried the same object again, this time starting with a base circle of 200 sides. This time the result was almost exactly correct. 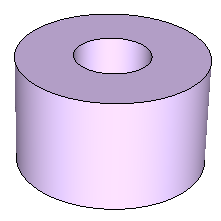 Volume Calculator sometimes chokes on a model that's not completely straightforward, like a cylinder with a cylindrical hole. So if you have something like this, you might want to try breaking the calculation into two separate models, then subtracting. If you teach math, this plug-in could become an essential addition!